Domaine Dupont is run by Etienne Dupont who has been in charge since 1980, when he took over from his father Louis and his grandfather Jules. Etienne has improved the old orchards and planted a further ten hectares of small standard apple trees. 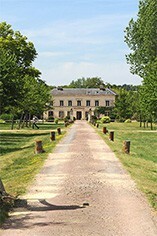 Altogether, there are 27 hectares (6000 apple trees in all) producing Cider, Pommeau and Calvados. 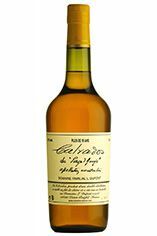 One of the secrets of Calvados is the mixture of apple trees: sweet (Rouge Duret), acid (Rambault) and bitter sweet (Argile Rouge and others) are combined to make the cider which is then distilled to produce Calvados. Similar to wine, the flavour comes from the skin and area beneath (not from the pulp). Therefore all the stages of the apples` transformation are aimed at extracting the maximum flavour from the skin. A copper-gold coloured spirit with aromas of apples, vanilla and rose, smooth on the palate with fruit up front and underlying notes of oak. The after taste is long and lingering.